Outlander Episode 4.1 America the Beautiful…the beginning of the real story – My Outlander Blog! There is a scene in Drums of Autumn by Diana Gabaldon where Jamie and Claire go for a boat ride to get time alone. It is plain that Jamie has been thinking about their future. It is after Stephen Bonnet has robbed them and they have arrived at River Run destitute. Jamie is feeling the sting of being the poor relative come a begging. He is a proud man and his pride has been hurt. He wants to give Claire the world, but as he pounds his fists in frustration he acknowledges that he doesn’t even own the clothes he stands up in. He knows that should he give in to his Aunt Jocasta’s machinations he will be able to give Claire a great deal of what he hopes to give her, but he knows that life at River Run no matter how prettily packaged or presented would mean putting his ability to live his own life and make his own decisions in jeopardy. The taste of being his own man and making his own way is too new and too sweet to be given away lightly or so soon. However, the alternative is to take Gov. Tryon’s offer of land and literally hack a new life out of the wilderness of North Carolina where he once again might place himself on the wrong side of history. Jamie is frustrated, disheartened and a bit ashamed. He wants to give her the world and yet all he can offer Claire is a life living under someone else’s leave or more hardship. He feels like a failure. Claire let’s him know it has never been nor will it ever be about what he can give her. “At last I took one big, callused hand and slid forward so I knelt on the boards between his knees. I laid my head against his chest, and felt his breath stir my hair. I had no words, but I had made my choice. She marvels that he really thought giving her “things” mattered. It is one of those moments between this couple that defined for me who they both were as individuals and who they were together. There are many such moments in the later books and the look they give us into what it means to be married and what it means to love. As thrilling as it was to watch Jamie and Claire fall in love and reunite, the real love story can be found in the everyday. It is not the big moments that keep love alive for years, but the small moments and gestures and sacrifices that are made in the mundane. Diana Gabaldon knows this fact and wrote us a wonderful adventure of people who do the work it takes to keep a marriage healthy and how they reap the joy and comfort of knowing they are two who are now forever one. I was happy to see that the show seems to be picking up on this change in Jamie and Claire’s relationship and as Sam Heughan said in a recent interview, I think we will see “the beginning of the real story” this season. Despite absolutely amazing and realistic sets by Jon Gary Steele and the once again brilliant story telling and character development in the costume designs of Terry Dresbach, the episode wasn’t perfect. It wasn’t the acting or the writing or the changes. For the first time, I was bothered by wigs and green screens and that song took me totally out of the story, I was checking my computer to see if I had accidentally left on YouTube or something, LOL! But, the song and the episode did what they were meant to do …set the stage. And, what a stage, Colonial America in all its flaws and glory…”a dream for some …a nightmare for others”. It was hard not to watch a show about America and not think about well, America. I could not help but see parallels between the America of the past and the America of today. In simply watching this story, as an American, I can see all of our stories. Claire tells Jamie about the American dream. It is true that people did come from all over the world for the chance of obtaining that dream, a place where the only limitations were a person’s own abilities and commitment to work. It would be lovely to think that we all had and have an equal chance at that dream, but the show reminded us that there are two sides to every story. The slave trade and the genocide of the native people were definitely the other side. It was not and is not a level playing field. Race, religion and ethnic background did and still do make a difference in accessing the American dream. And, yet when I looked at Claire’s glowing face as she looked at the horizon of never-ending trees, I got what she was feeling…wonder. America welcomed the huddled masses, the weary, and many can trace their roots to Ellis Island and to the feet of the Statue of Liberty. We were reminded that backwoods men lead resistances, a movement against unfair treatment by the government that led to a revolution and the birth of a nation whose stated guiding principle was the belief that all men are created equal. And yet, we owned slaves, the repercussions of which we still feel today, we still struggle with equality. Our history is complicated and our country is not perfect and yet, I saw the hope of that perfection in the story of the riverboat captain and his navigator, a slave that saved the man who enslaved him, a slave owner who freed his slave, both working side by side. I appreciate that the show is honest in its portrayal of our shared and complex past. After watching the show, I’m always left with images and words that linger. This week the image that kept coming back to me was the medicine chest and the word that rattled round my brain was “gift”. One of the things I love about the Claire of the books is her seemingly total disregard for possessions. If they have clothing, food, and each other she seems happy. You never hear of Claire pining for more of anything material. The Claire of the show seems like-minded. I would be hard pressed to name any physical possessions that Claire valued save for four items. She valued the pearls Jamie gave her. She does not value them for the pearls value, but rather the value they have to Jamie and the meaning behind his giving this prize to her. The pearls represented his commitment to her as his wife at a time when they barely knew each other. She was moved by this gesture as were we all. The next gift Jamie gave her was the ring. Both book ring and show ring were laden with significance, Jamie goes out of his way to make the ring special and Claire treasures it for the thought Jamie put behind it. My husband has brought me gifts over the years some unnecessarily extravagant ( a particular ring comes to mind), but I like to remind him of my favorite gifts and why they are my favorites. He showed up after work one day with a large bouquet of wild flowers. I recognized the purple blooms because they grew by the side of the road near our home. The mental picture of my big burly husband seeing these flowers, thinking of me, stopping his car at the side of the road, getting out in his shirt and tie to pick me posies while the traffic watched made them priceless to me. He thought about me and what I would like. Every woman wants to know her man thinks about her and wants to please her without having to ask or give hints! Jamie’s gift of the medicine chest was a gift more costly than rubies. He saw the chest and thought of Claire. In this single gift, he validated his belief in Claire’s gifts and her desire to heal and help. He wants to support her, she is his other half, his equal. This gift above all others tells Claire that he gets her and accepts all that she is. The fourth item she has yet to receive, but I find it wonderful and telling that the “things” Claire values are all gifts. Jamie may want to dress her in frills and lace, but Claire doesn’t really care. It isn’t that she doesn’t enjoy fine things, it’s that she doesn’t need them. Claire truly does know what is valuable in this life, to help others, to love and to be loved. I think the show is getting this part of Claire right and I love that we get to watch a show with redeeming characters worth emulating. The best gift anyone could give Jamie is family and purpose. How my heart has ached for him over the last three seasons. A man constantly denied the things he treasures, the people he loves. He is a man who has been living “with half his heart” and filling in the space “with whatever mortar is handy”. What I saw in this episode is the hope that Jamie will finally get to be who he was always meant to be. The first image we have of Jamie is one of determination as he tries to find a way to save Hayes who has been with him since Ardsmuir. In the end, he comforts Hayes and respects his last wishes. He is MacDubh. This scene with Hayes reinforces that Jamie has always seen people to care for as a gift and a responsibility, as does his fatherly guidance and love of Ian in the graveyard. We are also reminded that Brianna and I’m sure Willie are never far from his mind when he talks of making this land a good place. The scene of them all sitting around the table at the tavern making plans reminded me how rare it was for Jamie to be surrounded by folks he loves and cares for. The look of pure joy on his face when he finds that Marsali is pregnant was gift for all of us. He knows the emptiness of a life without people to care for and he wants the gift of a place to call his own, to be a husband, a father, protector and friend, the things that will make his life full and give it purpose. They are together, no matter what befalls them. They know that not even death can seperate them. Yeah, I think I saw the beginning of the real story. As always, I enjoy and respect your comments. I, for one, really do not like the wigs…they are so wiggy it throws me off. But aside from that, I try to keep in mind that the books and the movies are two different paths of one story. hi I just never really noticed before but I sure did last night! thanks for reading! Honestly this description brought tears to my eyes. It is exactly what I loved about episode one but which you were able to say so eloquently. My favorite scene was the medicine chest gift. The shy concern as Jamie carefully watches Claire’s reaction. The hope that she will understand the meaning behind the gift and Claire’s almost awed reaction clearly showing him without words how much it meant to her. This is what two brilliant actors are able to show with little dialogue. Marvelous. By the way, I agree wholeheartedly with you, regarding the song. For me it felt political and kind of mocking and it didn’t work even though I understood their stated purpose for using it. Hi! Thanks for commenting. I truly didn’t see it as political or mocking. It was jarring however and took me out of what was happening on the screen. Always enjoy your comments and obvious love of our characters. I always love reading your blogs and watching your interviews with the cast and I ‘felt’ your disappointment in your last blog about how the the interviews and events (aka NYCC) are becoming more like ‘cattle herding’ (i know you used a slightly different term, but it’s the same meaning) and you are not getting the same access to the actors (the Hollywood PR machine is alive and … annoying!) Anyhow, I do hope you continue blogging about our favourite show and characters, until that is, it no longer inspires you to do so. Hi Lynn I think must have me confused with another blogger! LOL! Nope, she’s right. Just a small error, but still. Anyway, couldn’t agree more about the wig and the CGI was just awful. Very distracting. I love your blag and this review. The song was jarring. Deliberately so, I’m sure. And necessarily so. Watch again. See if, now that you know it’s coming, the scene doesn’t seem perfect. The absence of dialogue. The looks on their faces. Caitoina. My G-d, Caitoina. Ron once said “you could see her thinking.” Caitoina’s ‘glass face’ was everything this whole episode. Beth, I missed reading your essays during Droughtlander. I’m glad you haven’t abandoned us, and your words are always so on the mark! Thank you. Thanks for reading me Susan! Yes, all the rest has been prologue. The ins and outs of how Claire and Jamie make and keep a home for each other and their extended family is the REAL story that we are lucky enough to be able to watch!! You have said this beautifully. Hello, I enjoyed your summary. Any show that takes us back to pre-Civil War is going to run smack dab into slavery and horrible relations with the Native Americans. There is no escaping it and there is no way to sugar coat it. It was a brutal time to be anything other than a white Christian male. And even then, it was not an easy road for them either. That being said, I have to say that the end of this episode with the very modern rendering of the Ray Charles anthem of American the Beautiful, superimposed over the brutal colonial scene of violence was a bit of virtue signaling that I could have done without. The song is not a cynical song. I remember singing it in church as a kid. I get that the producers are sending a message that America is not beautiful and has always been violent. How very woke of them. They could have done that without using the Ray Charles hymn. I read an interview today that they did with one of the producers and the use of the Ray Charles hymn was wholly intentional. I’m sure that the producers scored some sort of wine and cheese cred with the crowd that they run in. It left me cold. In fact, I usually watch the show episodes back to back when they run on Sundays but that was the first time that I turned off the re-run and deleted it from the DVR. It’s just that I watch the show for the escape of it all and to think that Outlander now feels that they have to lecture me or “virtue signal me” disappoints me and saddens me on a few levels. It was the only reason I kept my Stars subscription. And I would have felt the same way if they did something stupid like play God Save the King, or Rule Britannia or the English hymn Jerusalem during the scene when Jaime was assaulted in prison by Black Jack Randall. Like I said, it left me cold and has left me detached from the events of the show. I hope that this is not a preview of where the series is heading. I definitely had mixed feelings about the song but didn’t attribute as much intention to the choice as you did. I saw someone liken it to the playing of a Wonderful World in Good Morning Vietnam. I thought it was an interesting comparison. Thanks for reading! I agree with everything you say. Beth Wesson is a wonderful blogger and I so enjoy her comments, but the song left me dead and cold. Beth has revived my thinking about the show now. The first time I saw the episode, I thought that the last scene was so out of place that I thought the whole episode finally went off the rails. But then I watched it again 12 hours later…. and I think it accomplished exactly what it wanted to achieve. Not so much of a political statement as you feel, but instead making the scene for the viewer as shocking and jarring and confusing and feeling as violated as they could… loud music, no sound from the characters, fast camera shots, slo mo, then sped up…. I didn’t listen to the song to get angry about a political feeling, but more as part of a shock to my system (I didn’t even hear most of the words….just felt the sensation of hearing this beautiful song juxtaposed against seeing the violence, it was like losing my balance). And I realized the second time, that it had worked. One of the few times where the manipulations of sight and sound in a scene make the viewer a part of the story and feel the actual emotions. Thanks for sharing your thoughts! Good insight! I have been waiting for your thoughts! Thanks! Beautiful and thoughtful as always. I agree! Mostly. It took an entire day of thinking about the ending, and looking up the lyrics of the Ray Charles version of America the Beautiful,and reflecting on those infrequently heard lyrics in the beginning to decide that it was a brilliant move to do it the way they did. Initially I didn’t like it, but I woke up this morning still thinking about it, so that is when I looked up the lyrics. I am probably reading more into it than was intended, but for me, the juxtaposition is deeply thought provoking and powerful. Many of those heros were Scottish immigrants, thrown out of their country,who laid the foundation of America, the constitution and the Revolution. Completely fitting for the story line. Then the juxtaposition of the more familiar lyrics, about beauty and brotherhood being sung while devastation and pain is happening on screen has many layers of meaning as well, not the least of which is how to recover from that devastation. How will they recover, how do any of us recover from the devastation and pain that unexpectedly happens in our lives. Really looking forward to next week to see how it plays out! I absolutely loved this episode. wow! thank you for sharing! I love those verses! Oh my goodness. Thank you for your delving into the meaning of this song. It has always been so meaningful but now even more so. Thank you! Even though I have read the books, I still was shocked by the ending. The song managed to compress 250 years of American history into one moment. It compressed time. After I calmed down and stopped shaking I realized it’s genius. I love reading your beautiful writing and hope you continue on. It is such a joy to read your comments after letting the show sink in. Thank you. Welcome back, dear Beth. It’s been a long time. I was more than happy with Episode 1. I’ve read the books three times and the TV versions are just so spectacular, I cannot pick at certain parts of it. There are so many that do and will. That makes me a little sad as the story is being told in the best way forward. People are complaining about wigs. Really? If a hairpiece so obstructs the story, then turn your TV off! My opinion. We were totally treated to the sexual delight of Jamie and Claire. It was beautiful. Enough said. I love Fergus and Marsali. She will go forward as a woman we adore. Yep. She will. Young Ian will stop his crying (lol) and I can’t wait to see him develop into the man he’ll be. To the end … the first time I watched it, I was a little perplexed at Ray Charles singing America the Beautiful through this period of assault, murder and robbery. Of course, I watched it again. America was born, grown, raised and delivered within some barborous happenings. So that particular scene meant more to me than any other. It was not just about some gagging up of a wedding ring. It was symbolic of choice. And of struggle. So that song made sense to me. I will say again and again. I trust these people who are telling this story. And will happily go on the ride. ❤️ As always, thanks Beth. Beth, I would like to echo the sentiments of others, What a pleasure it was to see your blog appear in my email. You don’t know me, but I was thinking about you this week and hoping you were continuing this blog, I really enjoy reading it. There are always minor things that bother me, the wigs being one of them, but for the most part I can look past them. The Stephen Bonnet character seems spot on, the funny thing is my husband will watch all kinds of shoot ’em up shows but doesn’t want to watch that ending again. Again thank you for continuing your blog. Thanks for reading and my Hubby says the is exhausted with the drama, He thinks they need a break! LOL! huh wonder what happened? You know I love hearing from you! Welcome back and thanks sharing….I absolutely LOVED the new season, first episode! I stayed up the late the night before just hoping the new episode would drop after midnight on STARZ, and it did! I just couldn’t wait until a normal time to watch it….and seeing Stephen Bonnett, wow…hating him alllllll over again! I love his sneaky charm! And that’s the scary part, so disarming! Hey Beth! I promised myself I wasn’t going to spend much time on social media following the S4 premiere, but your blog doesn’t count! It lands right in my e-mail, so I don’t have to break my promise to myself AND I still get to read your great review! I enjoyed last night’s premiere but noted the same distractions that you did (especially the pre-historic stone circle dance – what the heck??? – and the sub par CGI). The story and the acting, however were wonderful. After just a few minutes onscreen, I decided that Ed Speelers was a good casting choice because I already hated Stephen Bonnet’s slick facade. Bonnet was a character I tired of quickly in the book so I’ll be interested if Speelers can make him a more 3 dimensional character. Love, love, love Ian and Rollo! Was touched by the Scottish lament for Gavin Hayes. I want to listen to that again! I wasn’t too troubled by the modern soundtrack choice over the final scene (though generally not a fan of that technique) and agree thoroughly that this was a good foundation episode. Looking forward to more! I hope I’m not the only one who loved the rock gathering of our early settlers. That little bit of what was and meant, the circle reference, the symbols … it was seriously a good moment for Outlander. Let us remember that each book teaches us as well as entertains. Right? Nancy, I get where you’re coming from and am glad it worked for you and, I’m sure, many others. For myself, I’m trying to reconcile how the imagery fits with the multiple themes of the episode. I’m on-board with what they were going for but honestly, to me it felt forced! It is likely foreshadowing but it seemed heavy handed. To quote another reviewer, it felt like they were beating us over the head with the mythology of Outlander. I get it already! Anyway, it was overall a good episode and it’s these mental exercises about what works and what doesn’t (for me) that I find an intriguing counterpoint to my enjoyment of the episode! Excited for next week! I agree, it was amazing. And I think Master Raymond was in there..
Hey you! I haven’t been on much either. Trying to keep Outlander my happy place! I agree with all you have said and I have to say I’m excited to see what they have done every week! It will always be our happy place. Always. Welcome back, Beth. I always enjoy reading your observations about the show, and had pretty much the same feelings about episode 401. Ep 401 was a great start for the new season, and actually stayed quite close to the book, although some trailers make it look like there may be bigger changes in later episodes. This book really is the beginning of their life together on Fraser’s Ridge, and sets up the whole rest of the series, so I’m hoping it is solid. Cuts are inevitable because it can’t possibly all fit into 13 episodes, but, fingers crossed 🤞 , I hope most of our favorite scenes will make it onto the screen. Can’t wait to see more. * Note — It was Gavin Hayes, not Leslie, who was hanged. Thanks for writing and sharing your thoughts and I fixed it…brain fart lol! It is spelled Lesley not Leslie. On top of that it was Gavin! Hi there ! Thank you so much! Omg. I’m too wordy for my own good. I’ve read and loved every single word of the books. Even through the thousands of them. I am pretty wordy in my own life so I do like the start, the slow getting to, the middle, the slow working towards. The end. For that book/season. LoL is that what I’m doing? Thanks for reading! Emmm, yes, that is what you are doing. You pinpoint perspective and we branch out from there. Does that make any sense? I hope so. I look forward to your comments and viewpoints. Only yours. Your followers have comments that I read with introspection. Not always in agreement but willing to read the differences – that makes this blog of yours pretty great. Thanks, Beth. Let’s remember that this is Outlander. We could be discussing any number of other topics. That this is civil and kind is lovely. thank you I try. I don’t often have to trash a comment here, but I will if it is someone who just wants to insult or attack. I’m not giving that a platform. Beautifully said Beth. I love the focus on a good marriage and all that goes into. Love your focus. 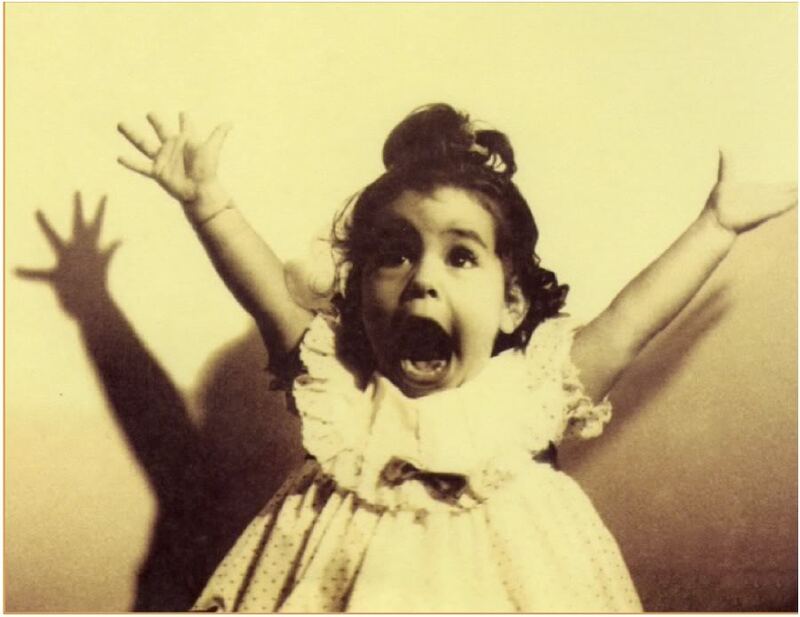 I am glad to read your blog again, Aaahhh! It must be Outlander season for Beth Wesson is here. LOL! thank you for reading! Your review is beautiful. Thank you for sharing with us. So good to see you’re back with your summaries of the episodes and applying their messages to life again. You do it so well. Can’t say I loved the episode and agree with most of the comments, but while I found the ending rather jarring the first time I viewed the episode, I thought it worked well the second time. If the writers were trying to send a political message I must say I didn’t get it, I was only thinking in terms of the story I’ve read so many times and trying not to make comparisons. The books are the books and the show is the show. I look forward to seeing where they take us from week to week and hope the season doesn’t fly by as quickly as it usually does! I applaud you! Beautifully said. Thank God you are back. I was afraid we would not be reading your well written insights. It is astonishing to me how much of what you say I am thinking, as well. I am looking forward to your comments in the coming weeks. Thanks Lorraine. I hear that a lot and love hearing we all seem to connect to this story! Welcome back, Beth! I was looking forward to your return as much as I was the premiere! Your thought provoking assessments always broaden my perspective and make me love this story even more! Spot on again! Well done! I enjoy your thoughts. Have been a fan of Outlander for over 25 years. Never gets old. 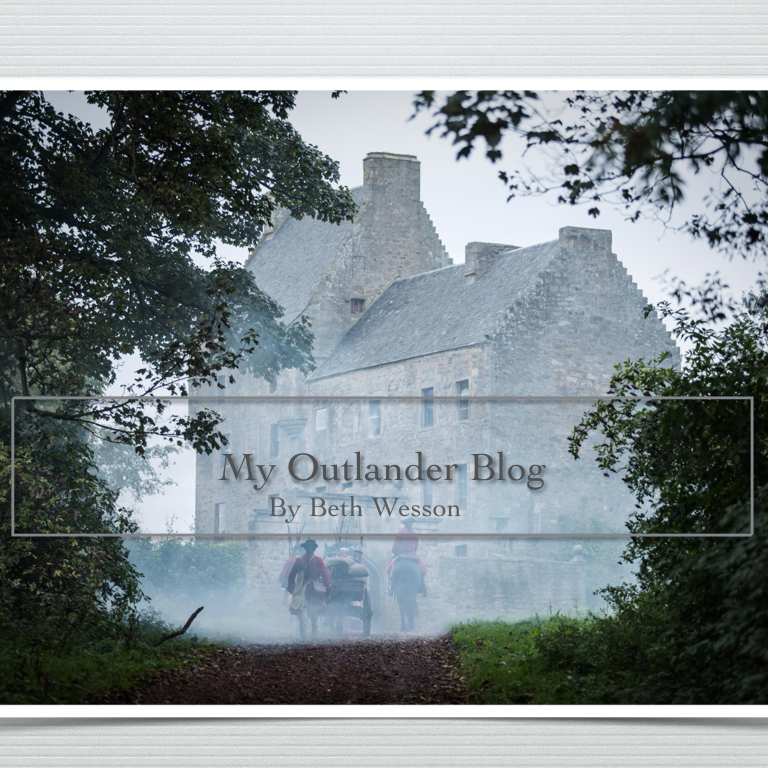 Droughtlander is over and you’re back to writing your blog. Yea! Perfectly stated. Thank you for putting into words what I couldn’t. I hated that song at the end. But maybe I hated what it represented, the American Dream for some is not such a good thing for others. Loved this blog, for Jamie and Claire and the others it’s just the beginning! Indeed you did. Lovely recap and summation of these two and their love story. I was a bit startled by American the Beautiful at the end, but what a bold choice — and indicative of the times, then and now. As always, well done. I have not seen episode 401 since I live in Lisboa (Portugal) and follow the show a week apart but I read all of Diana Gabaldon books. I was particularly touched by what you wrote about the meaning of gifts to our beloved characters. I appreciate very much your coments that help me rethinkink this story in the light of what live tells us and how we reed live it seelf . Congratulations, thank you for sharing your thoughts and the time you dedicate to them and us. Sorry if i could not express my feelings correctly in english. You expressed yourself just fine! Thank you for reading my blogs! Beth, I’m a first time commenter but a long time reader of your blogs. Your perspective gives me a whole new level of understanding, even after reading the books over and over! I loved the episode overall and nothing ‘jarred’ with me – except my ongoing wig issue! I wish Claire would brush it out of his eyes, or cut it or SOMETHING! One big question: why did they change the ring that Bonnet took? It was Franks ring in the book and not Jamie’s. Gold would be so much more precious. Anyway, keep up the good work! The ring thing was brutal. In the book, I loved the way DG wrote it. On screen, I felt it affirmed the ruthless character of Stephen Bonnet (I am going to love hating this character now). He and his psychopathic actions seem to be driven by one thing: take that which is most precious to “them” and it will be most beneficial for me. You truly have a gift for communicating your passion for the story and love of the characters. I appreciate your thorough summary and insightful, honest response to the show with the backdrop of the canon books. As I think about the final scene and consider each post here, I am reminded that powerful emotions surround the message of the muted scene and music overlay. Each strong reply is unique and heartfelt. We are individuals, free to respond openly (preferably respectfully) to matters of justice, decency, cruelty, courage. I too have a response to that scene, but somehow sense that sharing it isn’t as necessary as acknowledging that each person’s take is as valid as our rights as democratic citizens are today. I will say, however, that I did not find the decision to include that musical rendition (of the hundreds out there) a casual one, and I appreciate the deliberation of the decision makers to not take it lightly — also to respect the viewers to have their varied reactions to it without editorializing or defending their reasoning within the script. I find that very brave writing, and whether I like their decision or not, I do respect their rights, as I do ours as viewers. One last comment. I am giddy over the realization that we get to be part of the unfolding of this literary classic, unique as a series sure to enthrall generations to come on so many platforms (and thank you for YOURS, dear Beth)! We are witnessing and taking part in history, my friends! So happy to have you back. As always, I enjoyed your comments. It was a great beginning, and I can’t wait for next week and your take on it. ¡Gracias por leer mi blog y por sus encantadores comentarios! Your words are always true and right on target. Thank you for your blog and your mindfulness that always makes me look again and realize that you have seen things here and felt them that expands me own appreciation of the book and the show. thank you. Thank you Carol. I was gone so long I wasn’t sure people would still read me! Beth it is lovely to see your blog back in my mail box. The episode is available later in Australia and I watched last night for the first time.I agree with all of your comments and I thought the episode was a little flat. I was astounded that it opened in 2000 BC and thought that a very odd artistic choice, particularly as after reading the script more important (IMHO) linking scenes were cut for time. Even more odd was the final scene. Initially I thought someone on the boat was playing a piano. Ihave just looked up the Ray Charles song to find that it is almost treated as a hymn in the US. As an outsider, I did not know the song or its significance or popularity and it felt discordant, unecessary and was distracting. I doubt I will change my mind after a second viewing. So happy to have you back with your depth and precision. I guess for me the biggest difficulty is the discordance I am now feeling from book to screen. For me, seasons one and two seemed to have a richness and connection that I did not sense in season three, with some very notable exceptions,( and those exceptions were scenes/interactions not involving Jamie and Claire.) I am referring to Helwater, Jamie and LJG at Ardsmior, which for me were spectacular. Your thoughts about these next phases/matrices of J&C’s relationship so resonante with me, as now the story really takes hold. BUT what I am feeling from the screen (bear with me here as I struggle to find the words) is somethiong feeling forced, not authentic in most scenes with J&C. The First Law of Thermodynmics, which was so startling in the book, seemed so shallow and lacking the kind of impact it could have. In any case thank you for this wonderful place and allowing me a space tp reflect..
Adele, i do know what you mean . I wouldn’t say forced, but it felt “acted” ‘choreographed” not as natural as I’m used to with these two. Thank you Beth. This what I am feeling.There just did not seem be be the impact, the fluidity, the ‘trueness” I have always felt with Jamie and Claire when they are in that deep place with one another. Maybe it is just book to screen? Hi Beth, So glad to have you back. I have never written before but I felt the need to let you know that reading your Blog and all the comments too make me feel like part of a special family. You make this even more meaningful than it already is. Thank you so very much for all your insights! What a sweet thing to say and I’m glad you feel a part of things! Beautifully written and mindful of what is so good about this episode and series. I especially appreciate your comments because my first reaction to the episode was that it felt a bit flat. It wasn’t until I saw some of the aggressively negative reaction to the use of “America the Beautiful” that I was forced to think deeply and critically about the content of the episode. I like that Outlander doesn’t shy away from the truth of history with its the sharp contrasts of beauty and brutality. Of course, the series producers have often used music to transmit some of its important themes one of which I believe, is that big dreams and great accomplishment are not without struggle, sacrifice and blood. For those viewers who “saw” a political statement in the song’s use, I can only think one thing: the truth hurts sometimes. As always, Beth, thank you for your insights and attention to details that matter. Thank your reading and commenting!